Geirfastr and Hónefr and Hrafn and Folkbjôrn and Þórir had the stones erected in memory of Geiri, their father. May God help his spirit. Ásmundr carved and Herjarr(?). 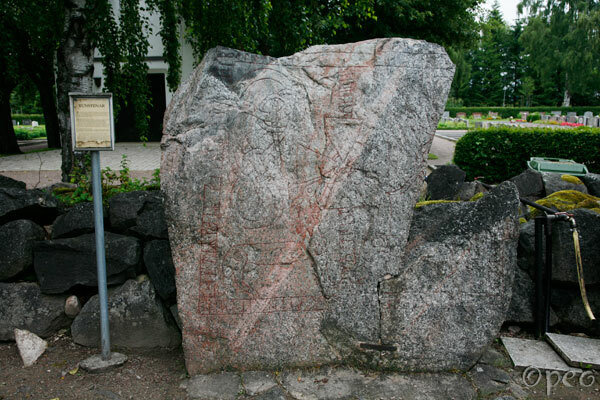 Like the previous one, this rune stone is standing just outside the churchyard of Tierp church.